The chief executive of eSwatini’s National Agricultural Marketing Board (NamBoard), which controls the importation of maize and maize meal into eSwatini (formerly Swaziland), has a stake in a maize business, an amaBhungane investigation has revealed. A well-placed NamBoard source said this meant Siphephiso Dlamini is conflicted, as he has a say in board decisions in which he has a vested commercial interest. This applied particularly to an embargo on imported maize imposed by NamBoard in October last year, which shielded local producers from South African competition. Until recently, maize meal in eSwatini cost consumers almost twice as much as it did on the South African side of the border. The price, which has risen steadily since 2015, is set by another parastatal, the National Maize Corporation, in consultation with maize and maize meal producers. The NamBoard source told amaBhungane that Dlamini has a mill that grinds and sells maize meal commercially. The allegations were supported by workers interviewed at the mill, which is located in Lobamba near the Ezulwini Valley.. The board source also alleged that maize meal from the mill is sold to contractors of Montigny Investments, a timber company based in nearby Bhunya, which distributes it as workers’ rations. Dlamini avoided answering amaBhungane’s questions for two weeks before confirming by email that he has shares in a family business that owns “a small maize mill”. He said that when he joined NamBoard, the business was selling to contractors working with Montigny. However, he said that the business was formally declared to NamBoard “and all the necessary ring-fencing was done to avoid any conflict of interest issues”. The Montigny sales were also “ring-fenced”. Dlamini said that he is now not directly involved in the running of the business and no distribution to wholesalers and retailers is being pursued. He said that the decisions to ban or unban maize meal imports were not his, but NamBoard’s. The reviewing of regulatory decisions was “robust with many stages and interventions as well as policy procedures” and was, therefore “independent of any influence from one person at NamBoard, irrespective of status”. The chairperson of NamBoard’s board of directors, Mike Matsebula, echoed Dlamini’s version, saying he had declared his interest in the mill and was not involved in the decision to ban maize meal imports. Dlamini did not comment on claims that the brand name of the company’s packaged maize meal, which at one stage could be purchased from OK Foods supermarkets in Mbabane, Manzini and Matsapha, is Inhlava. A visit to these stores in early December did not find the product on the shelves. When he announced the ban on maize meal imports in October, Dlamini said it was intended to improve food security in eSwatini by promoting local growers. However, the ban was lifted a mere two months later – days after amaBhungane and the Swazi Observer newspaper began probing Dlamini’s maize meal business. Dlamini said the decision was “purely influenced by findings of [maize and maize meal] stakeholders”, who had monitored the supply situation when the embargo was in force. He also raised eyebrows by announcing that the administered maize meal price had been slashed from R90 to R59 for a 10kg bag – a 34% reduction . The current price charged by shops on the South African side of the Oshoek and other border gates is R49 for 10kg. This is not the first time that Namboard has tried to block South African imports. In 2016 it imposed a blanket ban, only to reverse the decision later the same year following an outcry from Swazi MPs. When that restriction was lifted, Dlamini announced a 20kg limit on the quantity of maize meal an individual could import in a month. To prevent double-dipping, importers were required to register their names, passport numbers and amounts imported with NamBoard officials at all border posts. Commentators speculated that the re-imposition of the ban in October this year may have been prompted by the arrival in Parliament of a new and inexperienced crop of MPs after the tinkhundla elections the previous month. 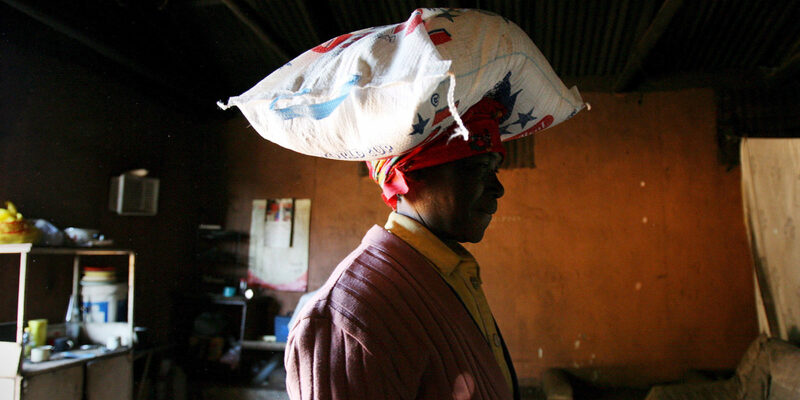 The extremely high price of maize meal in eSwatini has prompted furious consumer complaints, and poorer Swazis have relied heavily on the cheap product from South Africa. The country is not self-sufficient in the staple. According to the World Bank, about 80% of the rural population never has enough maize for consumption. The bank’s 2016 and 2017 reports state that about 38% of Swazis live below the poverty line, which means they cannot afford basic necessities such as food, shelter and clothing. About 60% are poor overall. The pension for citizens aged 60 and above, known as “elderly grants”, is R400 per month. About 70 000 people receive these grants, which are often a family’s only income. In line with its statutory mandate, NamBoard’s core activities include regulating the imports and exports of scheduled agricultural products and goods in transit, and facilitating their production, processing, storage, transportation and sale. It is also tasked with advising government on all matters related to the availability and demand for scheduled products, and facilitating the establishment of markets and marketing of locally produced scheduled products in domestic and international markets. In a recent interview, Dlamini told the Observer that the 20kg concession is still in force, but applies only to “returning citizens” and not to people who cross into South Africa and return the same day. “The permission (the 20kg concession) applies only to returnees who will formally use border gates to gain entry to the country,” he said. 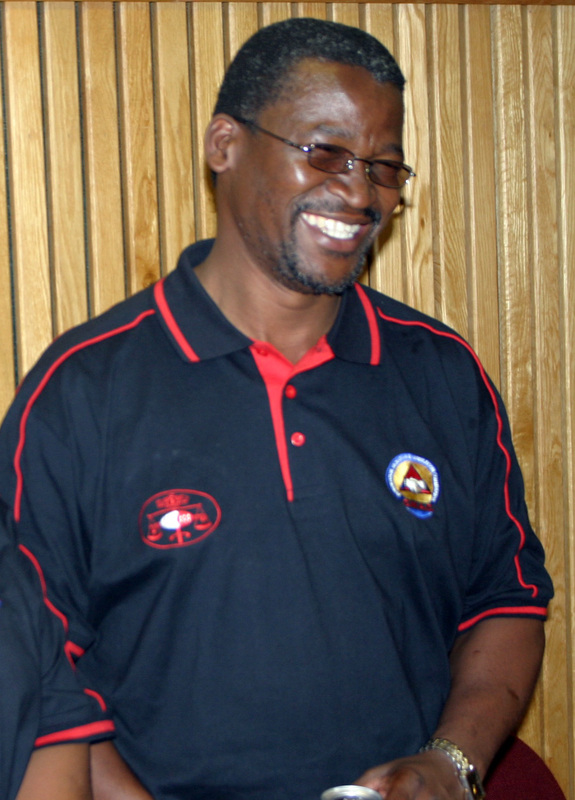 Dlamini discouraged Swazis from abusing the permits, saying that the way they were used would determine whether the 20kg concession continues. Returning residents should register and declare their maize meal purchases to customs officials at the border gates, he said. Dlamini added that “informal crossers” – those entering South Africa at points other than the border gates, with soldiers’ permission – would not be allowed to bring maize meal back into the country. NamBoard checked prices in eSwatini and South Africa on a weekly basis, and the price difference was reasonable, he added.